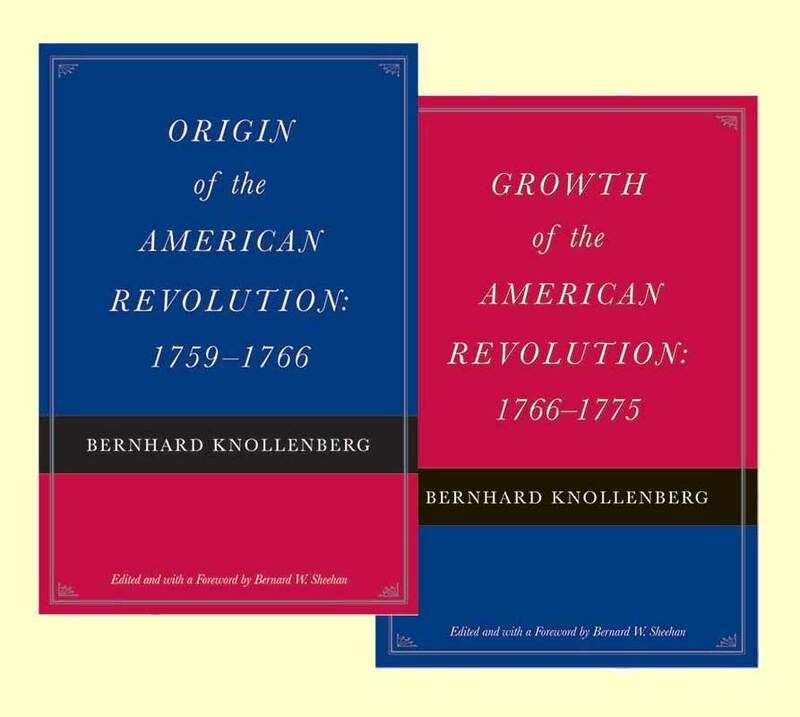 In his two volumes on the Revolution, Bernhard Knollenberg provides a basic narrative of events with extensive citations to the sources and a thorough discussion of the historiography. He concentrates on the political and constitutional clash between Parliament and the colonies that led to the Revolution. Social, economic, and intellectual history enter the story where needed, but Knollenberg was essentially a political historian. Although steeped in the sources and scrupulous about the facts, he wrote Whig history. His sympathies lay with the Americans. He believed that the British ministries were responsible for the crumbling of the empire and that the Americans represented the cause of liberty. Bernard W. Sheehan is Professor emeritus of history at Indiana University and past editor of the Indiana Magazine of History. Origin - Foreword, author's note, introduction, several bibliographies, index. Growth - Foreword, chronology, introduction, appendixes, bibliography, index.